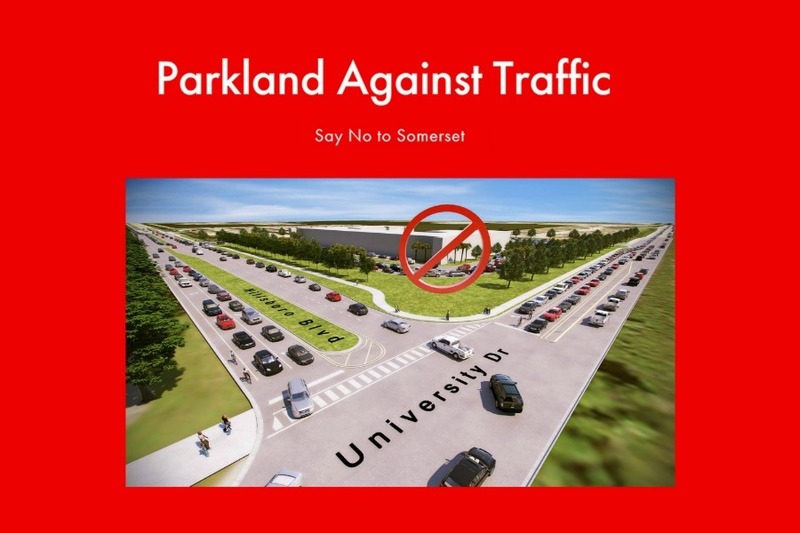 Parkland Against Traffic is raising money to hire experts to represent the community in opposing the Somerset Charter School Special Exception request at the Parkland City Commission Meeting on September 5, 2018. 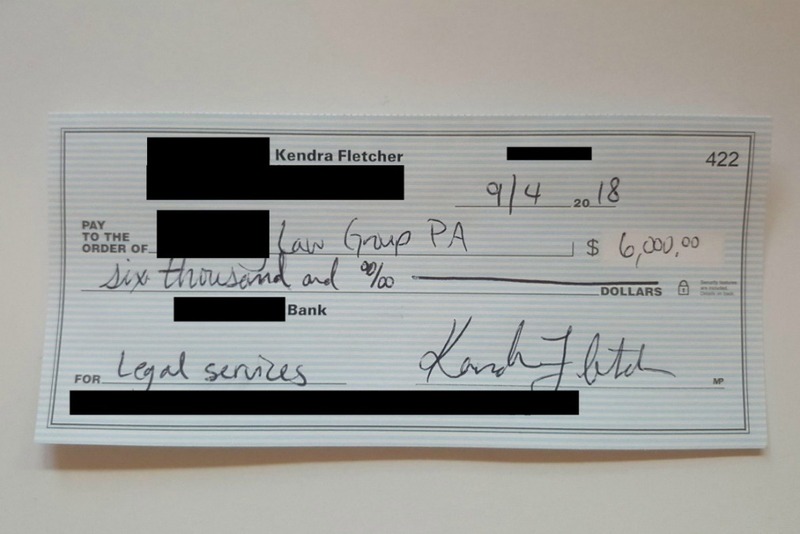 Kendra Fletcher will be responsible for withdrawing the funds from GoFundMe. 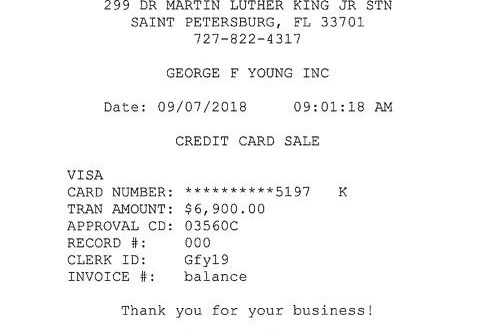 She will distribute the funds via check or credit card payment to the appropriate companies listed above and post receipts to this GoFundMe page. Somerset Charter School is requesting a Special Exception to rezone the land at the corner of University and Hillsboro for a K-8 charter school with 1,280 students. Many in the community believe that this will cause significant traffic problems on University and throughout the city. The City Commission must evaluate the Special Exception request against the stated criteria in the code and only against those criteria. To vote a denial and have it withstand a challenge in a court of law, the City Commission must make a finding based on substantial, competent evidence (which is evidence presented by experts) that the request does not meet the criteria. Therefore, we have hired a traffic engineer and an attorney to represent the community at the meeting. Hiring an expert will greatly increase our chances of having this Special Exception Request denied if the expert can provide substantial competent evidence for the commission to deny this request. The City Commission proceeding will be held on September 5, 2018 at 5pm and we encourage all community members to attend. The funds from this GoFundMe will be used for the purposes of helping to oppose the Somerset Special Application. There will be full transparency as to the distribution of the funds. Following the City Commission meeting, a report on the distribution of the funds will be shared in this group. Parkland Against Traffic is a group of community members who love living in Parkland and want to maintain our park-like atmosphere and easily movable streets. To our community, THANK YOU for helping us in the effort to oppose the Somerset rezoning request. While we were not able to completely stop this rezoning request, there were specific conditions and concessions that Somerset had to agree to in order to get the approval. Ultimately, some of these changes to the original proposal will improve safety and will hopefully reduce the overall traffic impact on our community. We believe that the efforts of the community and the hiring of an external traffic expert and lawyer contributed to a better end result and more scrutiny during the review of this Special Exception request. As promised, every penny donated to this campaign went to pay for experts and expenses associated with opposing this request. 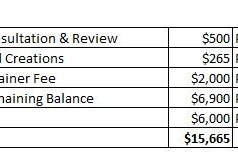 Below is a final summary of expenses and the receipts. Thank you for caring about our community and for helping to make a difference in the future of Parkland. Our Attorney and Traffic Expert are ready for tonight! Thank you for donating to help fund these professionals to represent the community. Here's some important information about the meeting tonight. Hello neighbors! Tonight is the City Commission meeting for the Quasi-Judicial proceeding to review the Special Exception rezoning request by Somerset. The leaders of the Parkland Against Traffic met, along with our attorney, and we want to provide some guidelines and information about the meeting. These are recommendations that will best serve our agenda and not create unnecessary distractions. The City Commission will essentially be acting as a jury to review the evidence presented and make a determination based on the competent, substantial evidence presented by experts. They will be evaluating the evidence against specific guidelines in the municipal code. The environment here is like a courtroom and we all need to show the same deference that we would in a courtroom. At the P&Z meeting, the audience was asked not to applaud during public comment and we expect the same request to be made at this meeting. We ask that you PLEASE listen to ALL of the guidance provided by Mayor Hunschofsky and the City Attorney during the course of this meeting. It does not benefit us in any way to create unnecessary distractions or to resist the rules that are set forth. We have spoken to the city and their goal is to make this a fair proceeding where both sides can be heard. The meeting is expected to go for many hours. The city will be advising everyone on the structure of the meeting. There will be opportunity for the experts to present and for the cross examination. I think everyone is in agreement that we do not want the meeting to go into the early morning hours as that does not benefit anyone (and may have downsides). Keep in mind that the decision will be made based on the competent, substantial evidence presented by experts which is what will be presented at the beginning and middle of the meeting. While the community input is a part of the meeting, the decision will ultimately rest upon the competent, substantial evidence presented by experts. Therefore, it does not benefit us to line up with 50 people doing 3 minute speeches and delay the meeting and decision for an additional 2.5 hours. It will benefit us more if the City Commission can focus more on contemplating the competent, substantial evidence. This does not mean we will not have any speakers from the community. We just want to be mindful of what strategy will best help us and what could potentially hurt us. At the meeting, Craig Levine will be responsible for advising what the best strategy will be and for splitting up topics to make sure we are not repetitive in our points. In addition, the city advised us that they may be handing out cards where you can write down your name and whether you are in support or opposition to this request. The Mayor will then read these cards out loud. This is a great way to make your voice and opinion heard without having to extend the meeting time. If you cannot stay for the whole meeting, you may be able to fill out a card before you leave. And lastly, let’s all bring forth the BEST of our Parkland community in our actions and behavior.Most of the people at the meeting live here including the City Commissioners and residents who may be in support of the school. Let’s all act with integrity, kindness, and human decency. Regardless of the outcome of vote, please know that the City Commission is not making a decision on their personal beliefs or what they want for the community. They must make a decision based on the laws, codes, and guidelines. If the decision is not what we ultimately wanted, we do not want to resort to personal attacks on our Commissioners. Some of our leaders at Parkland Against Traffic met with them and we truly believe that they are coming to this meeting with an open mind, knowledge of the laws and code, and that they will be using their discernment to make the decision that aligns with the guidelines. This is the first time that this issue has come before them for a decision. >> Doors open at 4:30pm. Show-up at 4:30pm if you are able so you can get a seat. >> Bring refillable water bottle and a snack! This meeting could go late into the evening. >> Bring a battery charger for your phone. >> Bring a fleece or jacket as the room can be chilly. >> Show up with a smile and a good attitude. Once I have the final receipts, I will upload them here in a PDF. We are only $1,200 from the goal! We reduced the final goal slightly now that we know the final expenses. As promised, we will be providing full transparency into the use of the funds. 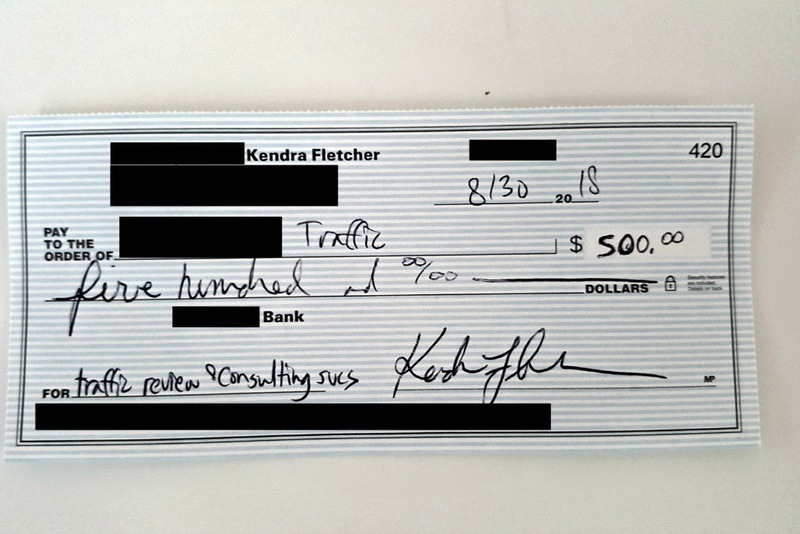 Below is a receipt for the first traffic expert that gave us an initial consultation, review, and recommendations. There's also a receipt for the T-shirts. 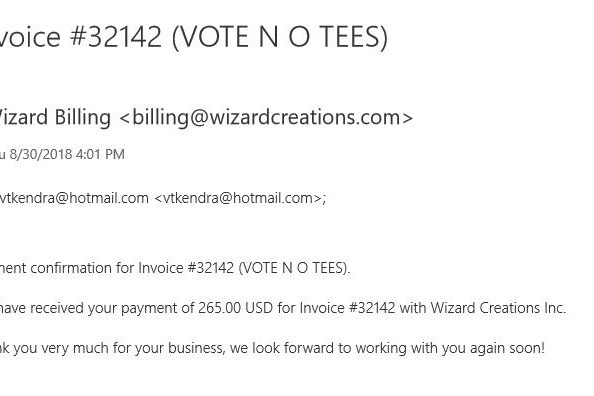 We initially ordered 50 for $250 but Wizard Creations was nice enough to DOUBLE our order at no extra charge. Thank you Wizard Creations! We will have t-shirts available before the City Commission meeting on Wednesday so that we provide a consistent message. They are red t-shirts that say "Vote No". Thank you again for all of your support!